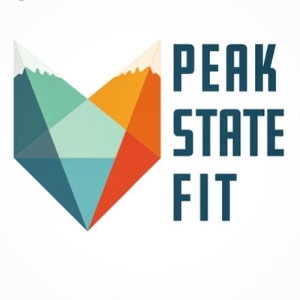 Peak State Fit coaches Heather & Pat Casey design coaching programs for triathlon, duathlon, cycling, mountain biking and running from a holistic approach through the use of corrective exercise, individually designed training including metabolic efficiency guidance and mental skills training. During your free consultation, we’ll identify what’s holding you back and goals you’d like to achieve. Then we go to work putting a plan in place to help you reach Peak State! Heather’s background in swimming competitively from age 6 under the direction of Olympic coaches Richard Quick and David Marsh led her to triathlon at the age of 14. Her passion for endurance sports continued and has been her profession for over 15 years. Heather and Pat founded Peak State Fit from their 20 year combined coaching experience as USAT Level 2 coaches and strength coaches bringing their passion for wellness through endurance sports, functional strength and bike fit together. They have a proven track record of coaching athletes to their top goals with responsible progression to minimize risk of injury or burnout while cultivating a physical and mental amplitude of Peak State. Heather coaches athletes of all levels but specializes in highly motivated individuals with a passion for gains! She has coached dozens of athletes to their first Ironman finish, 5 Ironman World Championship Kona athletes! Training Peaks October 13, 2016 Is Bilateral Breathing Essential For Triathletes? Success. Coach Heather Casey has been notified of your message. First Timer! 16wk Half Ironman 70.3 Triathlon / Strength (Novice) - Export Friendly, Zwift etc. Hill Training 70.3 Ironman Distance Triathlon With Functional Strength, Drills and Core! To hire Heather Casey as your coach, select the coaching service that is right for you.